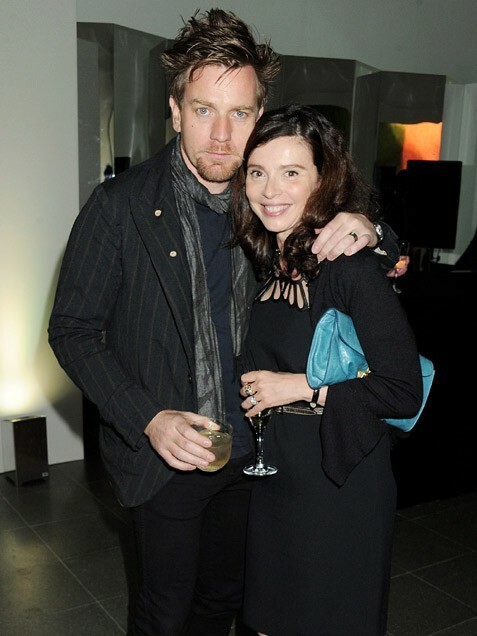 Despite wooing the likes of Nicole Kidman and Scarlett Johansson on-screen, Scottish-born actor Ewan McGregor, 40, has long had eyes for one woman: production designer Eve Mavrakis, 45. The pair (pictured at a Burberry party in London on June 28) met while working on the British TV show Kavanagh Q.C. in 1995 and married later that year. Together they had two biological daughters, and adopted two more. (McGregor announced his most recent adoption this summer.) Although McGregor is known for keeping tight-lipped about his family, he sweetly told Britain’s Daily Mail, "I certainly didn't have a checklist for my ideal woman. I was very young when we met and I just fell in love with her. I knew I wanted to be with her, and I still do."